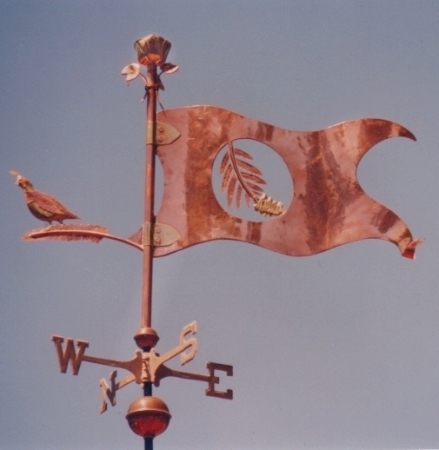 This Arrow with Leaf Weathervane was ordered to top a copper roofed cupola on the garage and carriage house of a 200 year old farm. 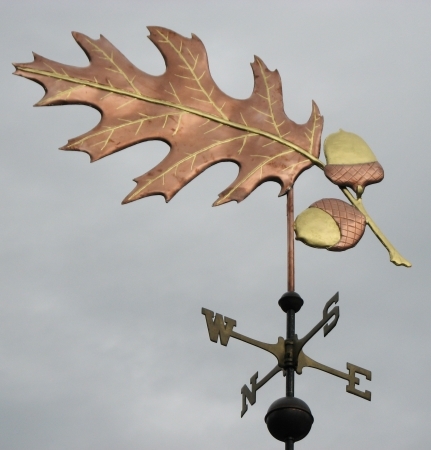 The falling oak leaf and upper rod are brass, as are the directionals. 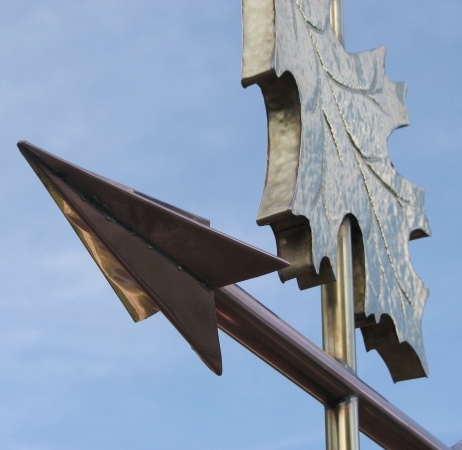 The arrow and fletching are copper, as are the spire top and the globes. 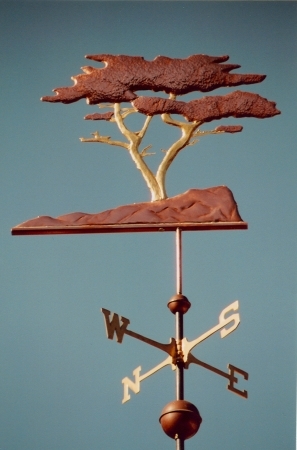 As this traditional piece patinas the color difference between the copper and the brass will become increasingly subtle, but will remain obvious to the discerning eye. 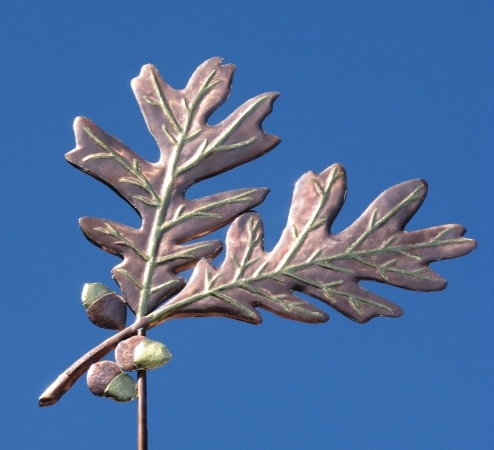 If you want to maintain a sharper differentiation and brightness for the leaf, or any part of the arrow, optional gilding in gold or palladium leaf will create that effect and last for many decades. 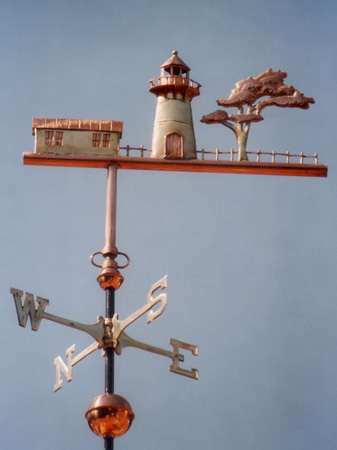 This weather vane is open to a lot personalizing. 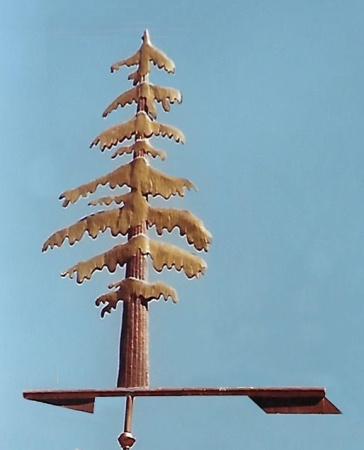 The leaf could be replaced with the leaf of a different tree, or some other design element of your choosing. 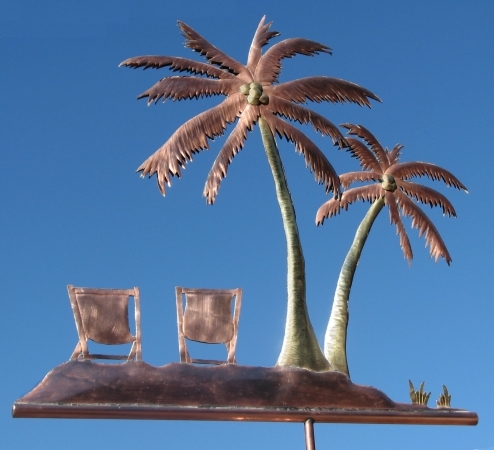 This change may incur some small additional design charges. 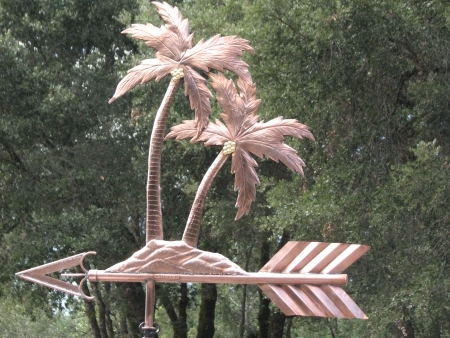 The arrow and fletching can be selected from our catalog of options. 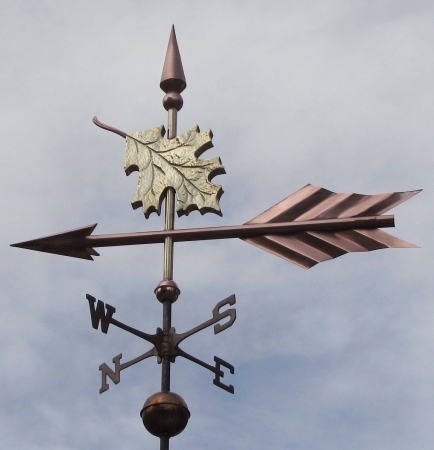 Our classic arrow weathervanes are extremely popular. 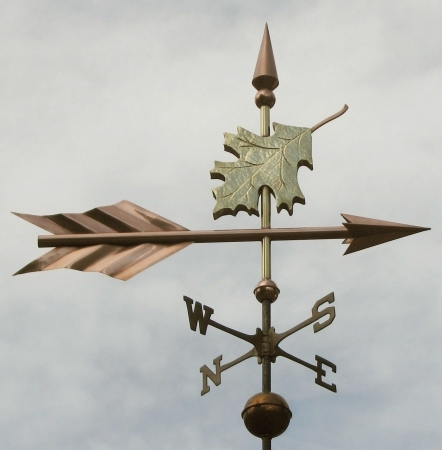 Give us a call if you would like to discuss an Arrow Weather Vane distinct to your circumstances.